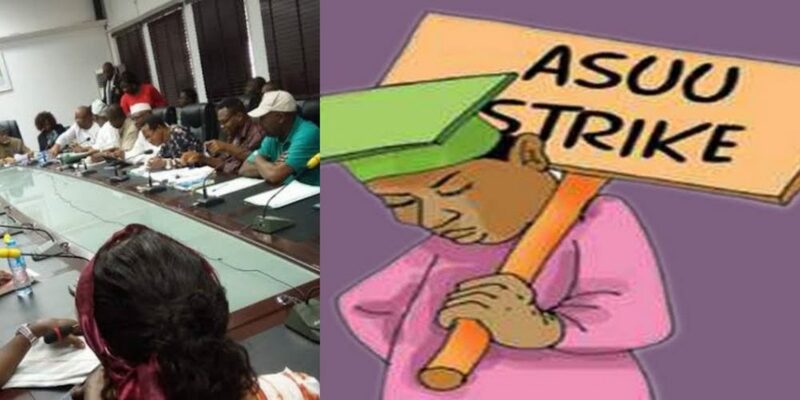 The public university lecturers said they were tired of Federal Government’s antics of making unfulfilled promises, insisting that the strike would be called off after they got tangible evidence and concrete actions that the offers made to them by the Federal Government had been implemented. The National President, ASUU, Prof. Biodun Ogunyemi, in an exclusive interview with one of our correspondents in Lagos on Thursday, said the team of the union that met with the government on Tuesday did not reach an agreement with the Federal Government. But ASUU president recalled that last year, the government promised to release funds for the revitalization of public universities, which was one of the demands of the union, but failed to do so. “As for the proposal, it can be disaggregated. There are items there that require implementation. If they are setting up a committee on state universities, and they actually do, it is not something we need to agree on. It is about action. “On the revitalization fund, we presented to the government that five tranches of N220bn each were outstanding. The government has not said it will release one, even if it is spread over a period of one year. There is no agreement on that. What they are offering is not even up to one tranche. According to him, such an agreement was reached last year, but he said the government failed to honor it. “We are going to have a discussion on when to commence renegotiation because there are still grey areas. If the government can substantially address these issues, we will be more confident to face our members on the way forward. For now, the feeler we are getting is that our members do not actually want to accept this government proposal from us.